No. Not my wedding anniversary. Caroline and I have been married for 33 years! September 10th, 2016 is the 20th anniversary of the Tugaloo Triathlon at Lake Hartwell. The Olympic distance triathlon is one of the most popular in the state with 100's of participants every year. September 6th is the last day to register for the event, but if you aren't trained up, stop by to watch the excitement. 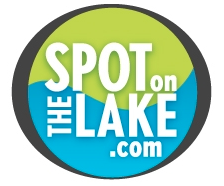 And don't forget to save some time to let us help you find your spot on the lake.